About the Firm | Ruff, Freud, Breems & Nelson Ltd.
Ruff, Freud, Breems & Nelson Ltd. provides legal services to a broad range of clients, including financial institutions, healthcare providers, insurance companies in defense matters including title insurers, private individuals, and a wide range of business entities and tax exempt or non-profit organizations. 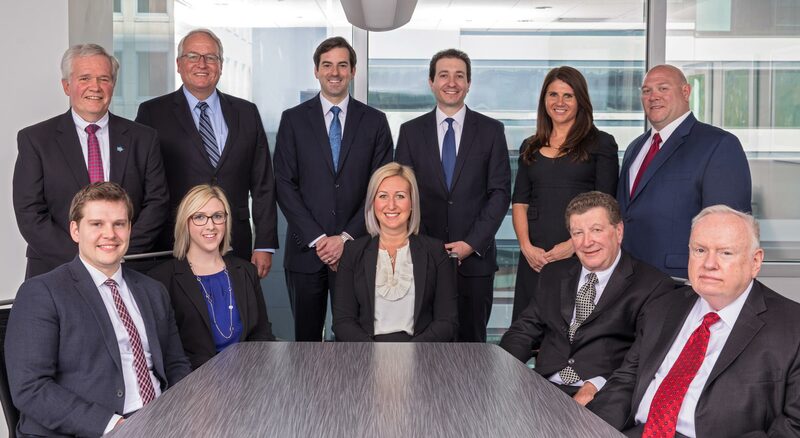 The firm was founded in 1936 by Stephen L. Ruff, Sr., and we continue to proudly serve the Chicago metropolitan area from our downtown Chicago offices over 75 years later. We have a well established reputation for providing our clients with personal service and prompt custom attention. Our attorneys have considerable experience in many areas of legal practice. The personal attention and experience that we bring to each client result in effective, efficient and affordable counsel and creative solutions to your legal problems. Our attorneys are experts in litigation of various types, with a concentration in defense of malpractice claims and commercial litigation. We represent our clients at the trial and appellate levels in state and federal courts, as well as in arbitration and mediation proceedings. 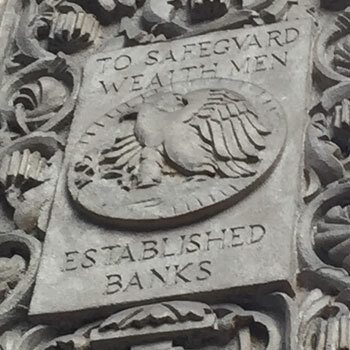 We are also experts in commercial law, transactional, banking and estate matters, representing a wide range of financial institutions, corporations, partnerships, limited liability companies, nonprofit entities and individuals. Stephen L. Ruff serves in World War II. The law firms doors are closed. 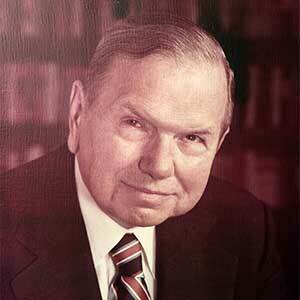 With the guidance and support of its original founder, attorneys William B. Weidenaar, John. J. Reidy and Stephen L. Ruff, Jr., partner to form Ruff, Weidenaar, & Reidy, Ltd. In 1936, the late Attorney Stephen L. Ruff, Sr. opened his law office on Chicago’s south side, founding a law firm that is now known as Ruff, Freud, Breems & Nelson Ltd.
Attorney Stephen L. Ruff reopens his law office in the Chicago Loop. 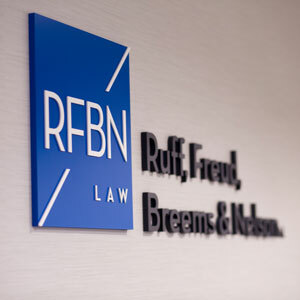 With the retirement of William B. Weidenaar and passing of John J. Reidy, the 4 remaining shareholders continue the firm with the name changed to Ruff, Freud, Breems, & Nelson Ltd. In 1936, the late Attorney Stephen L. Ruff, Sr. opened his law office on Chicago’s south side, founding what would eventually become Ruff, Freud, Breems & Nelson Ltd. His legal practice was interrupted in the early 1940s by full time military service during World War II. Upon his discharge from the military, he reopened his office in the Chicago Loop.Mr. Ruff focused on representing individuals, small corporations, financial institutions, and healthcare providers. 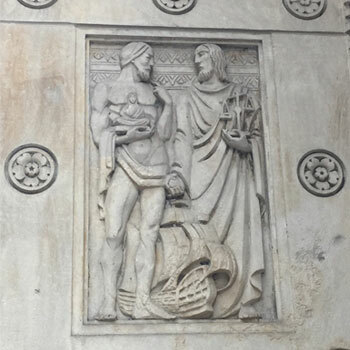 As the firm grew, it developed a trial practice defending tort claims, including the defense of physicians and hospitals in medical malpractice claims. 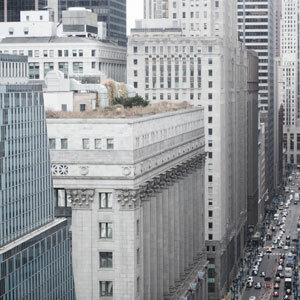 These areas of concentration are characteristic of the firm’s practice to this day.The firm is one of the oldest law firms in the City of Chicago. During its long history, the firm has been known by several names. In 1981, with the guidance and support of its original founder, attorneys William B. Weidenaar, John J. Reidy, and Stephen L. Ruff, Jr., our founder’s son, continued the firm’s well-established practice as Ruff, Weidenaar, & Reidy, Ltd. They practiced with the current shareholders under that name for 33 years. With the retirement of William B. Weidenaar and the passing of John J. Reidy in 2014, the remaining shareholders continued the firm with its current name of Ruff, Freud, Breems, & Nelson Ltd.